The Ford E250 series is the new name for the old Econoline vans. We sell vans here at www.carenginesforsale.com too. Ford knows how to build a van and apart from Chevy is the largest van automaker in the world. Part of what draws consumers into purchasing the E-series vans is the strength of the engine and the ability to use these vans for any task. General transportation, hauling and commercial use are all part of the daily grind for the trusted Econoline. Our Ford E250 5.4L engines for sale are priced so that any person can afford one to put into their van to give it another hundred thousand miles. 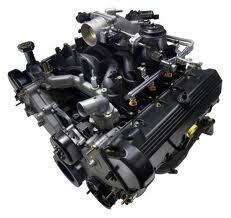 These Modular engines have been installed into all vans since 1997 that Ford has produced. This engine is still a very strong seller for them and for us. Our customers appreciate our service and our V8 pricing. It’s hard to find an engine dealer that does not fluctuate the pricing. Too many sellers are only interested in making a quick buck instead of worrying about the long haul. Every move that we make is for our customers and the dedication that we give is returned to us with every engine sale. This commitment is partly why our 5.4L engines are top sellers. We know that some used or rebuilt engines that can be found online are not 100 percent genuine. Many of them have parts that are not Ford parts and many of the engines fail before the first year of operation is through. Engines bought from our company are much different. Not only do we get the best deals, we have a hard working staff of specialists that complete our rebuilding work and evaluations for our used engines. Each department works together to pass along information and to deliver on promises that we make of a quality engine for an extremely affordable price. Whether you need rebuilt or used 5.4L engines, we handle both of the versions inside of our own engine facility. Only OEM versions of the E-series engines are sold here. All engines that make it into our inventory are checked out during and after the acquisition is made. During the rebuild, worn parts are removed and genuine Ford parts are put on in their place. We keep the OEM standards that Ford has set for each 5.4L engine. We don’t start adding things that we think should be there. You trust in us to provide a genuine 5.4 engine and that’s what we give to you. We crate every engine and ship it quickly to any destination in the world. We don’t have to deal with damage or any of the things that some companies go through. You came to the right place if you like to save money and expect to be treated fair. Use our E250 quote form to get an instant low price. Click on submit and whatever contact method you selected to receive the quote the price will be sent. You may call us at 1-877-630-3873 if you have a question or want further information about our 5.4L engines or engines like these in our inventory.